Tea culture is quite vibrant in Korea, and is heavily influenced by nature and poetry. I just love this idea, and it reminds me of sipping tea in a serene garden, surrounded by poets and artists. Perhaps an outdoor version of the French bohemian lifestyle around the turn of the 20th century. I can feel the grass tickle my feet and hear the scratch of paint brushes on canvas...Ok, pulling my head out of these daydreams, let's focus on Korean tea! 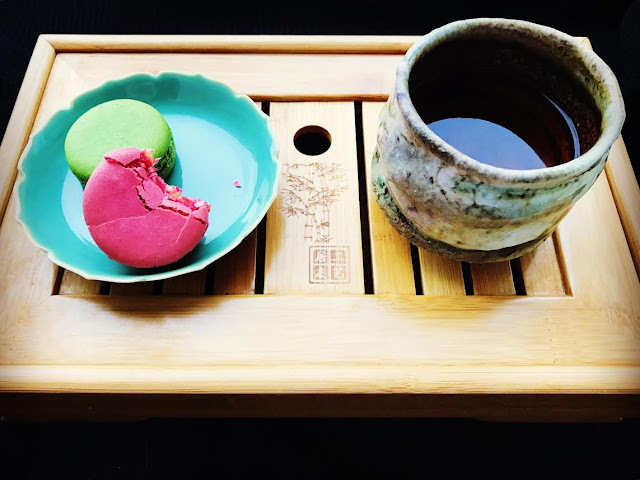 I learned a little bit about Korean tea culture and the elegant Darye tea ceremony last year at a presentation at the Hagajae museum, which you can read about here. Korean teas can be difficult to find. 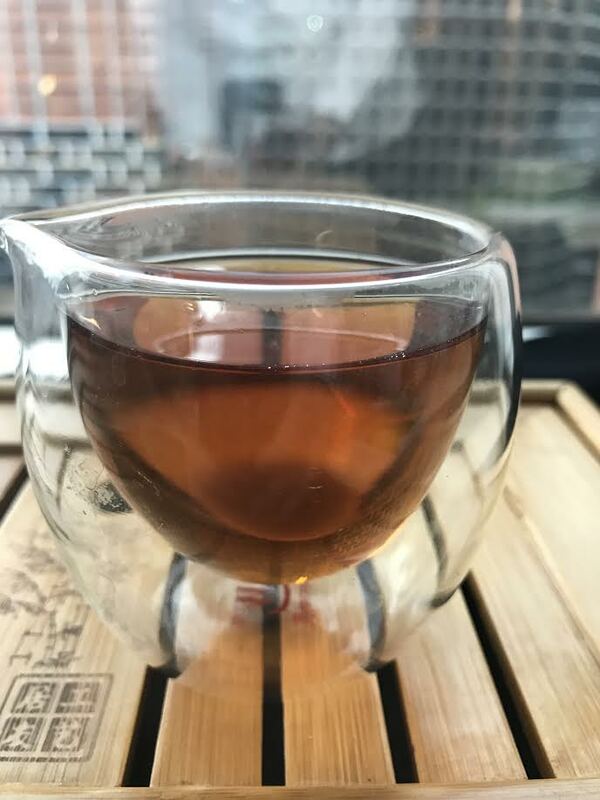 The teas aren't exported as much as they are from other countries, and I don't blame them for keeping all of the beautiful tea for themselves. Most teas from South Korea are grown in the south, as is the case for the tea I'm tasting today. In fact, the first tea seeds brought to Korea from China were planted on Mount Jiri, which is where my sample was grown. You can check out a map on the Teas Unique website for more information on the South Korean tea growing areas. I randomly chose the Mt. Jiri Joongjak (third pluck) hwang cha for today's tasting. All of the samples were interesting and I couldn't prioritize. 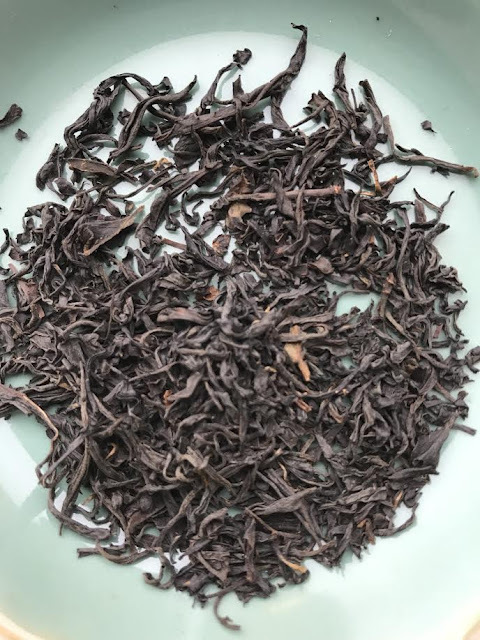 This tea is considered a 'lightly oxidized' red tea (black tea), and I was curious to see what it was all about. This tea is a third plucking, and the package says it was plucked 'around April 28 2016' but I imagine it could actually have been a few weeks later since this seems early for a third pluck. The brewed tea smells quite sweet and tastes super smooth. I served this for the Office Tea Club a few weeks ago and the feedback was 'ooh this is like chocolate, but also grassy!'. There was definitely a chocolatey richness but it's not super strong. Dried grass is the dominant note, with a sweet caramel finish. In the background I definitely detected some 'wet rock' flavor, forest stones after a soaking spring rain. There is a slight astringency to the brew, not really present but it's just enough to keep things interesting. The second time I enjoyed this tea I over-brewed it a little bit, but it was still very smooth. I decided to pair it with a few French macarons I was gifted (which you can see in the first picture above), and that was actually a mistake. This tea is too delicate to have overpowering sweet flavors accompany it. For a sweet, I'd pick something with milk chocolate (or white chocolate, but I hate white chocolate!). For savory, I'm thinking avocado toast. A nod to the toasty notes, and the creamy avocado would work nicely with the chocolate and slight astringency in this tea. I still have so much to learn about pairing teas with food, but it's such a fun journey! I think this may be the first Korean tea I've reviewed with the exception of a few sips of the gorgeous Jukro I had at a tasting a few years ago. I still dream about that tea. Thank you to Teas Unique for the sample! I look forward to trying the others that were sent to expand my Korean tea experience.